Simple, free resources to help you build a better WordPress website. 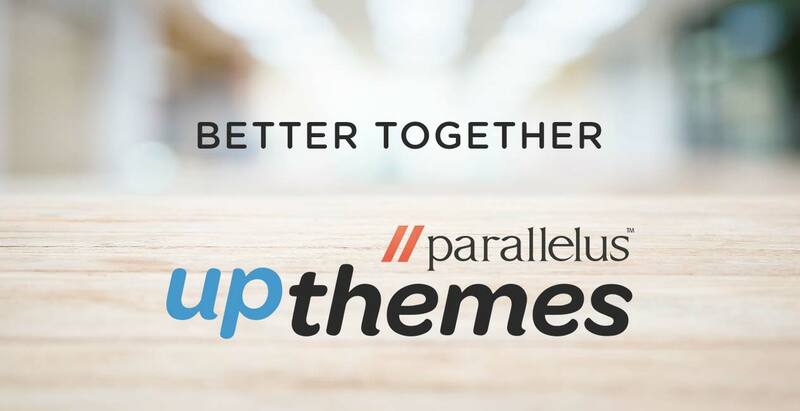 We are excited to announce that UpThemes is now part of the Parallelus family! The story of how this all came to be starts with a round of golf at PressNomics 4. Chris Wallace and I began talking about the future of UpThemes. By the end of the day we knew this needed to be a much longer conversation. Over the next two months we worked out the details for Parallelus to take over running UpThemes. Making WordPress our platform of choice has influenced me personally and set the direction for Parallelus. Starting in 2010 we released our first major WordPress theme, Unite, and haven’t looked back. Our mission at Parallelus has always been to make the web better through great design, useful applications and strong communities. The acquisition of UpThemes brings us new opportunities to fulfill those goals through WordPress and the community. Our plan is to continue building on what UpThemes already does well, which is making beautiful, responsive, fast and easy-to-use WordPress themes. Over the next few months we will start releasing updates to several themes while also working on new products to add to the UpThemes portfolio. Our first project will be a re-release of the UpLifted theme with a new name and visual refresh. The current UpLifted theme is now part of the ChurchThemes.net service. The UpThemes team has been amazing during this transition. It’s easy to see how they built such a great brand when you look at the people behind the products. This is going to be a fun and exciting time for us and the UpThemes community. We look forward to bringing even more value to existing products while continuing to make new themes, plugins and community tools. It’s an honor to have this opportunity and we look forward to providing many great themes in the years to come. That’s exciting news and I wish you best of luck, especially you, but Chris W. as well! I will be coming back to see how the acquisition went and how you’re merge UpThemes in Parallelus. Nice! Congrats Andy and good luck you guys! Congrats, guys! Looking forward to seeing what you do with Uplifted. And what Wallace and gang does with Faithmade. Nice! Congrats to everyone involved. Looking forward to see the new version of UpLifted. Congratulations! I’ve always been greatly impressed with the quality of both UpThemes and Parallelus, so the combined forces will be even better!